Small Business Owners, we know usually don't have the time or the personal to fully manage a web server for their business but need to have an online presence for advertising products or services. A website with your own domain name is a must have for advertising and selling online even if you are using services such as ebay. Ebay sellers are much more trusted if they have their own domain name and website and are at least 70% more successful then sellers without their own website and domain. Now is the time to move your business ahead. Use our service to find a domain name if you don't already have one and then contact us to setup your site and have you started. We work with you every step of the way to help you succeed. Don't wait - Get started on your online business today! Ftp access - Email - Database Support all setup for you. We do all the server managing so you have more time to work on your business. We provide a speciality hosting service for small business owners or Mom and Pop home business that want a website and need a website but don't have the time and maybe not sure how to setup the server and the website. This can be complicated and takes time. We take of the whole process for you at no charge. That's right no charge at all for the setup. You only pay us the small monthly hosting fee and if your ar not happy for any reason you can cancel at anytime. We accept your monthly hosting payments by PayPal. Pay anyway you wish, monthly, quarterly, yearly. We maintain the server totally for you. We can setup and design your website using a design where you can update by ftp. Or we can setup Wordpress for you with a mobile ready template all set for you to use with ease. In most cases the website design would be done free if you sign up for a hosting plan prepaid for 6 months or more. At Internatioanl Web Solutions we take the hassle out of setting up a website ready for the online business world. Just let us know what type of site you need and how you would like it setup and our team can get started on doing all the work for you. Contact us and let us know what you would need and we will send you detailed information and pricing. In most cases we can design a basic site and set everything up for you totally free and all you would pay is your hosting fees. 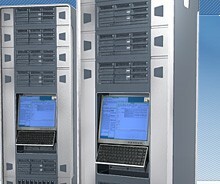 We manage everything on our dedicated high speed servers. You only have to run your business and watch your profits rise. © International Web Solutions 2016 All right reserved.